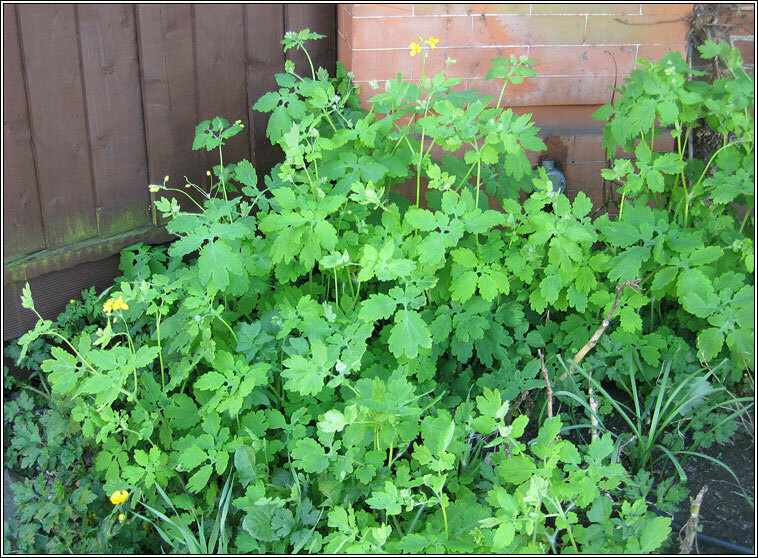 Habitat: A garden escape found on waste ground, pathways and roadsides in England and Wales. Less frequent in Scotland and Ireland. 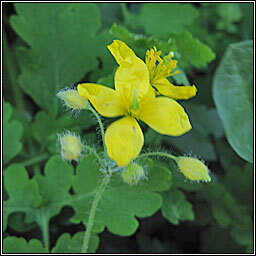 Clusters of small 4-petalled yellow flowers followed by a narrow fruiting capsule. The green-grey leaves are pinnately lobed. 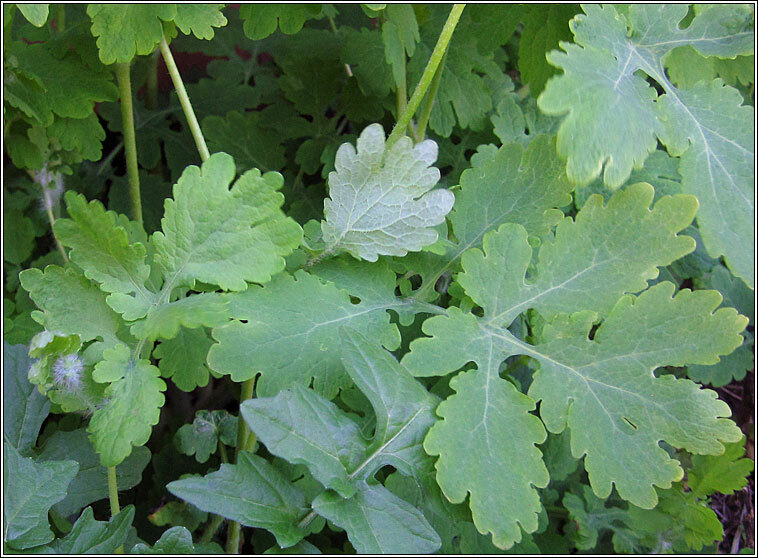 Whole plant contains a caustic orange latex which can cause skin and eye irritation. Height: 30-90cm.